Subaru Cherry Blossom Festival welcomes Kiwi & the Papaya Mangoes to Sakura Sunday! 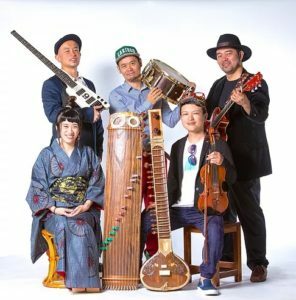 Formed in 2009, Kiwi & the Papaya Mangoes (KPM) is Tact Hirose’s artistic project creating “Tokyo Down Town Rare groove”! KPM is a Tokyo-based collective of traditional and contemporary musicians that are active in Tokyo’s music scene. KPM combines Japanese traditional & modern music with international influences ranging from rock to reggae. Fronted by koto player Hiroe Morikawa, KPM has performed in Asia, Africa, Europe, and North America. Catch Kiwi & the Papaya Mangoes eclectic, electric performance at 4:00 PM on the Main Stage!